The Haskell Environmental Research Studies Center at Haskell Indian Nations University (HINU), in collaboration with the Oklahoma Climatological Survey (OCS) and SCIPP, hosted a meeting on climate variability and change with Oklahoma tribal representatives. The purpose of this meeting was to enhance and foster dialogue between tribal representatives and climate scientists, educate tribal representatives about climate science, and develop recommendations for material to be included in the 2013 NCA document. 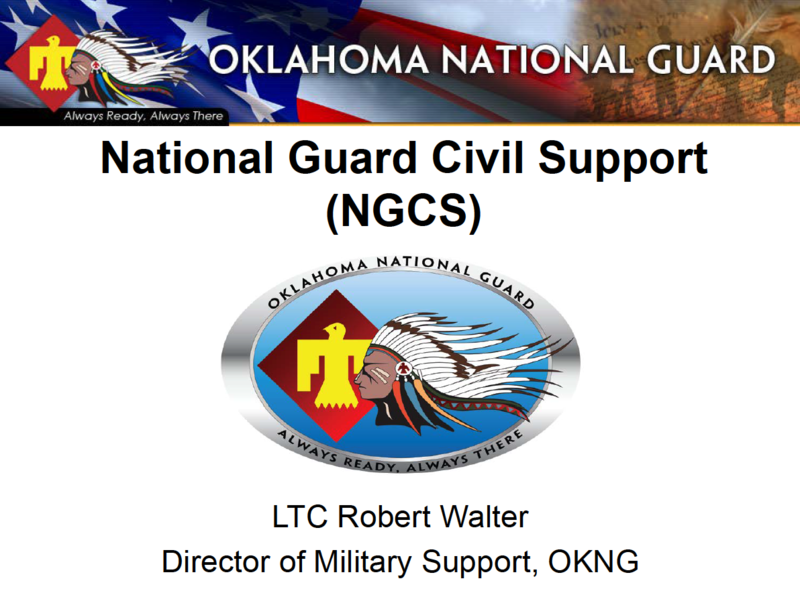 An overview of the Oklahoma National Guard. This presentation provides an excellent overview on climate change and it's effects on Louisiana in addition to adaptation techniques and examples. The Prescribed Fire Summit 2016 successfully brought together various stakeholder groups to learn, share, and discuss current fire science and management. 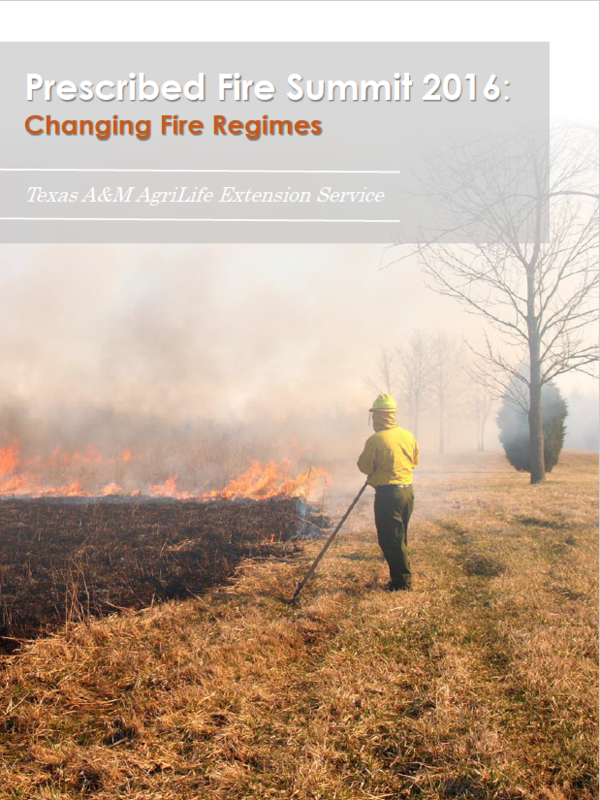 Research and extension specialists from four of the participating universities (Oklahoma State University, Texas A&M AgriLife Extension Service, Kansas State University, and University of Nebraska) collaborated to produce two publications. 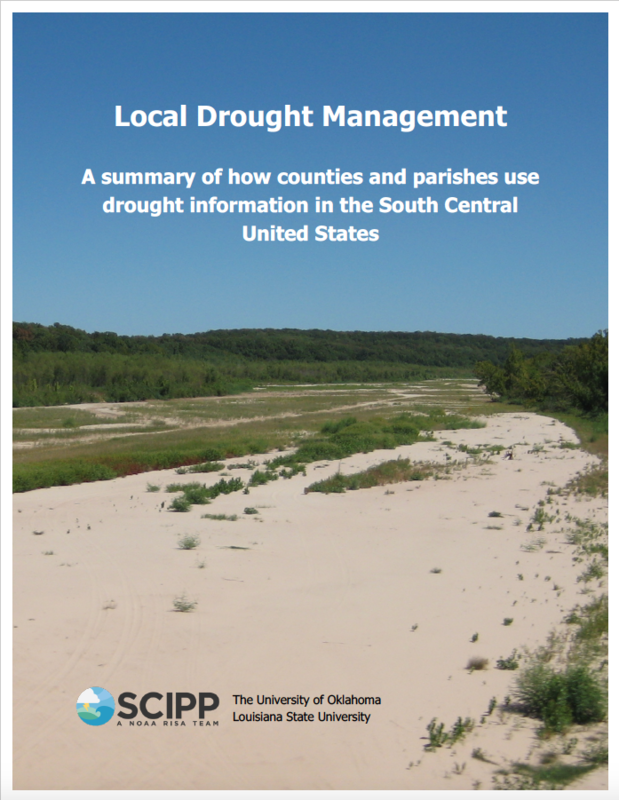 This is part of the Managing Drought in the Southern Plains Webinar Series. NOAA and other partners have made amazing strides over the past decade to improve drought monitoring, preparedness, response, and mitigation. How do these national efforts reflect at the local level? The Southern Climate Impacts Planning Program (SCIPP), a NOAA RISA Team, conducted a survey of county-level offices in a six-state region in the South Central United States to answer this question. The project revealed an active local network, especially in the relatively drier states in the western part of the region (Texas and Oklahoma), working to help their communities, businesses, and individuals manage drought. Those in the network had access to a wealth of information, but there are opportunities to improve their connection, particularly through the U.S. Drought Monitor process and representing local conditions. 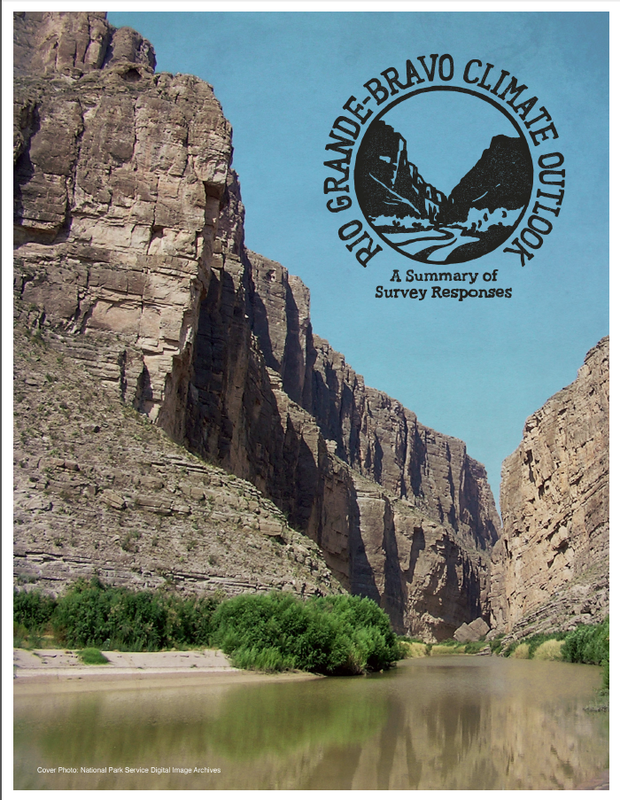 SCIPP has been working with CLIMAS, NOAA and other partners on a prototype quarterly climate outlook for the Rio Grande-Rio Bravo region of the southern U.S. and northern Mexico. The survey provided input into design features preferred by those using, or likely to use, the new outlook. This presentation addresses SCIPP goals and partnerships in addition to specific examples of how SCIPP has collaborated with local communities.